Last Minute Gift Basket Delivery - IA Presents, Gift Baskets, Gifts, Flowers, Balloons, Fruit Baskets and Gourmet Food Delivery to Iowa for Every Occasion. Did you forget someone or wait until the last minute? Need a gift delivered fast? It's still not too late to send a very special and unique gift basket. Choose from hand delivered fruit baskets, gourmet food baskets, a bouquet of flowers, live plants or festive balloons. They need never know you waited until the last minute. We'll never tell! Gift baskets themes include such occasions as birthday, get well, new baby, thank you, sympathy, housewarming, corporate and personal events and contain products such as gourmet food, fruit, coffee, tea, chocolates, snacks, cookies.Send gift baskets, gifts, flowers, fruit and presents to IA. Shop online for unique gifts for holidays, birthdays and all occasions. 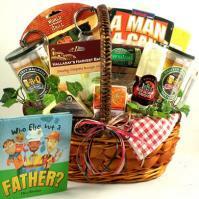 Want to lavish your Iowa loved ones with a beautiful gift basket? Adorable Gift Baskets offers a simple solution to your Iowa gift delivery needs. Our lovely Iowa gift baskets are delivered to your recipient's door with their complete enjoyment in mind. Luxuriously sent gift baskets to Iowa can make your loved one realize just how much you care. They'll be thrilled when they start sifting through their IA gift basket to indulge in all the delicious goodies inside. If you need to find that perfect gift for the chocolatier, browse our extensive selection of delicious chocolate gift baskets delivered to Iowa. Any chocolate lover will be pleasantly surprised with a gift that makes their heart sing while also satisfying their sweet tooth. Chocolate IA gift baskets feature yummy chocolates such as truffles or chocolate bars. There are chocolate chip cookies and gourmet chocolate squares. You'll find trusted chocolate candy brands such as Ghirardelli and Godiva. Our chocolate basket selection also includes baskets that blend chocolates with fresh, colorful fruit or gourmet foods such as cheese spreads and sausages. Iowa gift baskets are packaged neatly with various colors and styles. There are different basket sizes to choose from, making it easy to select an IA gift basket for just one recipient or an entire group of people. For instance, if you need to send a bereavement gift basket, delivered to an Iowa recipient that's recently lost someone they love - then you can order a larger basket to satisfy the family and guests. If you need to feed a large group at your office or want to send a corporate gift to a particular department, Adorable Gift Baskets offers many fine IA gift baskets to meet those needs. If you have a boyfriend, girlfriend or fiancÈ who lives in Iowa, try our beautiful Iowa gift baskets to spark a little romance. Valentine's Day, birthdays and anniversaries are the perfect times to make them feel special with a romantic, luxurious gift basket delivered to Iowa with your special love note. As you browse our IA gift basket selection, be sure to read the basket contents and compare sizes and designs. There are plenty of gift baskets to choose from, making it easy to select that perfect Iowa gift basket for your loved one! Iowa was the 29th state to be granted statehood on Dec. 28, 1846. The state flag was instituted in 1921. The capital of Iowa is Des Moines. Iowaís official flower is the Wild Prairie Rose. Iowaís official bird is the Eastern Goldfinch. Iowaís official tree is the Oak. Iowaís official rock is the Geode. There are 99 counties in the state of Iowa. Iowaís state motto is ìOur liberties we prize and our rights we will maintainî. Iowaís nickname is ìThe Hawkeye Stateî. Iowaís oldest city is Dubuque. The longest and highest bridge in Iowa crosses Lake Red Rock. The largest cereal company in the world is Quaker Oats in Cedar Rapids. The only town in Iowa on an island is Sabula. Winnebago Motor homes & Campers are manufactured in Winnebago County. The only state name that starts with two vowels is Iowa. The oldest land grant college in the United States is Iowa State University.